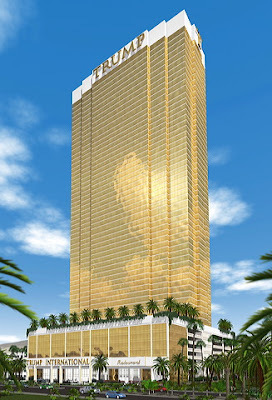 On January 26, 2008, Nights at Vegas, Inc. (“NAV”), a Vegas-based real estate property management company, filed a lawsuit against Donald Trump, Trump Ruffin LLC, and Trump Ruffin Tower I LLC (together “Trump”) seeking declaratory relief of non-infringement of trademarks as well as $1 billion in damages for alleged anti-trust violations, false promotion, and unfair competition. See Nights at Vegas, Inc. v. Trump Ruffin LLC et al, Case No. 08-cv-00122 (D. Nev.). A copy of the complaint can be downloaded here (courtesy of me). NAV is in the business of helping owners of Las Vegas’ many high-rise condo hotels rent their units, including owners of condo-hotel units at the Trump International Hotel & Tower (the “Trump Tower”). Billionaire Donald Trump needs no introduction, except to say that he is the owner of numerous trademark registrations and applications containing his famous moniker, including TRUMP INTERNATIONAL HOTEL & TOWER (for, among other goods and services, real estate services, namely, listing, leasing, and managing commercial and residential property) as well as a pending application for TRUMP (for real estate services, namely, listing, leasing, financing, and managing commercial, residential, and hotel properties). Trump Ruffin LLC is the joint venture owned by Trump and Phil G. Ruffin – the owner of the land where the Trump Tower now stands. Trump Ruffin Tower I LLC is the official owner of Tower 1 of the Trump International Hotel & Tower in Las Vegas (with Tower 2 now accepting reservations for any interested readers). NAV’s first cause of action is for a declaratory judgment of non-infringement. NAV claims that it has received letters from Trump demanding that NAV cease and desist using the trademarks “Trump,” “Trump International,” and “Trump International Hotel and & Tower” in advertising its services or else face a lawsuit. NAV claims that such use is fair use and not likely to cause confusion because the marks serve to describe the public identity and location of the residential units. NAV’s website even has the following disclaimer: “Nights at Vegas, Inc. is an independent property management company which acts directly with and on behalf of the owners of units in condominium hotels, so that it may act independently to bring you better service and rates. None of its partners, agents, employees, or the company itself, are directly affiliated with any one hotel, casino, or condominium hotel.” Under this threat of lawsuit, NAV seeks a declaration that its use of the aforementioned Trump Marks is not trademark infringement. It should be noted, however, that in arguing that Trump demanded that NAV cease and desist use of the Trump trademarks, NAV attaches a letter from Trump’s attorneys, Snell & Wilmer (with offices, I might add, in the nice, shiny new building in the Howard Hughes complex). However, the demands made by Trump’s attorneys were a) to correct misleading information about NAV’s 80/20 split (which counsel argued was misleading because it was not made clear that such split occurs after certain expenses are deducted); b) to stop contacting purchasers of Trump Tower through proprietary information that may have been misappropriated; and c) remove references on NAV’s website to references to a business relationship with Expedia, Travelocity, and Orbitz. There was no demand made regarding the use of Trump’s trademarks. NAV’s second cause of action is that Trump is engaging in certain monopolitistic practices to prevent NAV from offering its managerial services to owners of condo units at the Trump Tower. First, Trump has exclusive agreements with online travel sites such as Expedia, Travelocity, and Orbitz, which NAV argues prevents it from being able to list and rent units on such sites. Second, Trump is preventing NAV from using the aforementioned Trump trademarks to market its services. Third, NAV claims that Trump is using its own managerial company to offer services similar to NAV while refusing to agree to protocols and administrative procedures with NAV to allow the check-in/check-out of transient guests and the cleaning of the units that NAV manages. Fourth, NAV alleges that Trump has instituted certain fees against companies like NAV that it does not charge its own management company. Finally, NAV argues that Trump has been providing inaccurate information to unit owners who inquire about NAV’s services, in particular, the staff at the Tower tell inquiring customers that NAV is not allowed to market units of the building and is not allowed to rent such units. NAV seeks injunctive relief, but also requests damages. According to NAV, but for Trump’s anti-competitive actions, at least 50% of the unit owners in the Trump Tower would engage NAV’s services because of NAV’s far more profitable 80/20 split versus the 50/50 split offered by Trump’s in-house management. NAV believes the amount of lost revenue from the many hundreds of units owners who have no alternative but to use Trump’s in-house management services is approx. 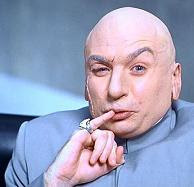 $250 million. And because of alleged difficulties in switching property management companies, mandatory notice requirements, and mandatory term lengths, Trump has secured such revenue stream for an average of 4 years, and thus NAV seeks damages in excess of $1 billion. In addition, NAV asks for $3 billion in treble damages as well as court costs and attorney’s fees. . . .THAT ANY RENTAL PROGRAM THAT MAY BECOME AVAILABLE IN WHICH A REISDENTIAL UNIT OWNER MIGHT DESIRE TO PARTICIPATE WILL MOST LIKELY PLACE SEVERE RESTRICTIONS ON A RESIDENTIAL OWNER’S RIGHTS TO USE SAID OWNER’S UNIT, INCLUDING IMPOSING BLACKOUT PERIODS OR OTHER DATE RESTRICTIONS ON USE OF THE REISDENTIAL UNIT THAT ARE IN ADDITION TO THE RESTRICTIONS AND REQUIREMENTS IMPOSED BY THIS DECLARATION. NAV maintains that this statement has harmed it because the statement leads unit owners to believe that any other management service outside of Trump will jeopardize the owner’s ability to use the unit – a statement that NAV claims is false. NAV’s final cause of action is for unfair competition, without any further elaboration. DO you have an opinion on th eoutcome? Ryan - Do you have an opinion of the outcome? Declaratory judgment action dismissed under Rule 12(b)(1) because I don't think NAV has a real and reasonable apprehension of being subjected to liability (at least not based on the letter submitted as an exhibit). As for the antitrust allegations, dismissed under Rule 12(b)(6) for failure to state a claim. I think the fact that we have heard nothing so far and the case is still in Federal Court means that there are serious negotiations occurring. Also the lawsuit would force Trump Ruffin Tower I LLC to inform potential buyers by way of the Public Offering Statement of a lawsuit that could put them out of business. Ryan, do you know the outcome of this case? All I can say for certain is that Nights At Vegas voluntarily dismissed the lawsuit on May 13, 2008. It would appear that the complaints were never even served on the defendants.